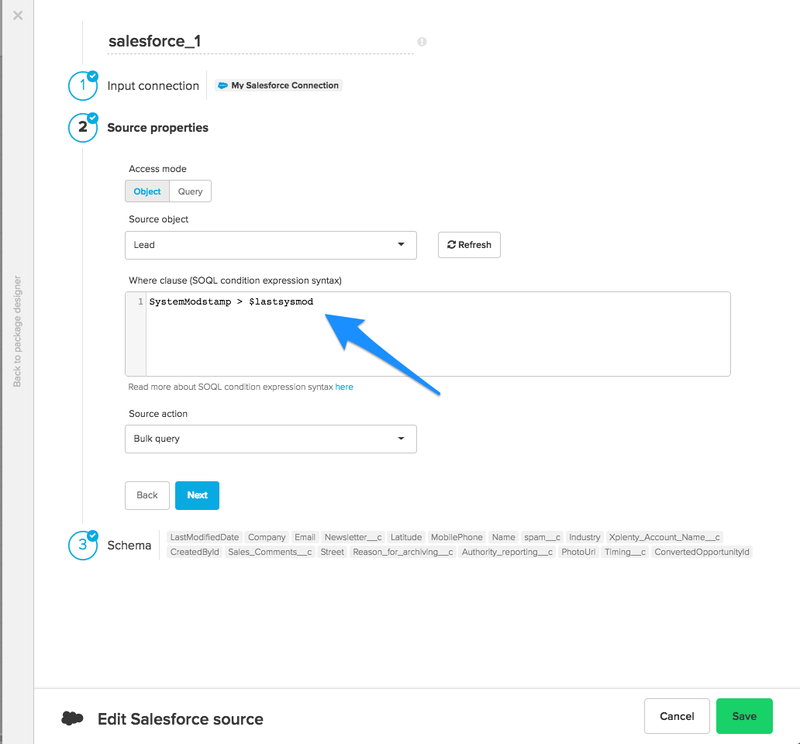 Use the Salesforce source component to read Salesforce sales cloud standard and custom objects using the Bulk API. 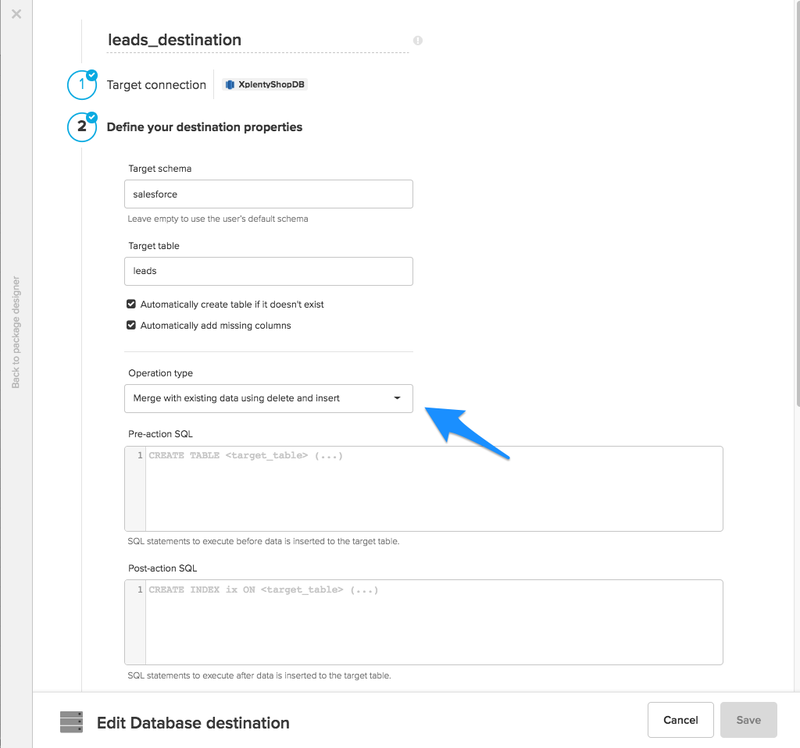 Access mode - select object to extract an entire object or query to execute a SOQL query. Source object - the table name from which the data will be imported. 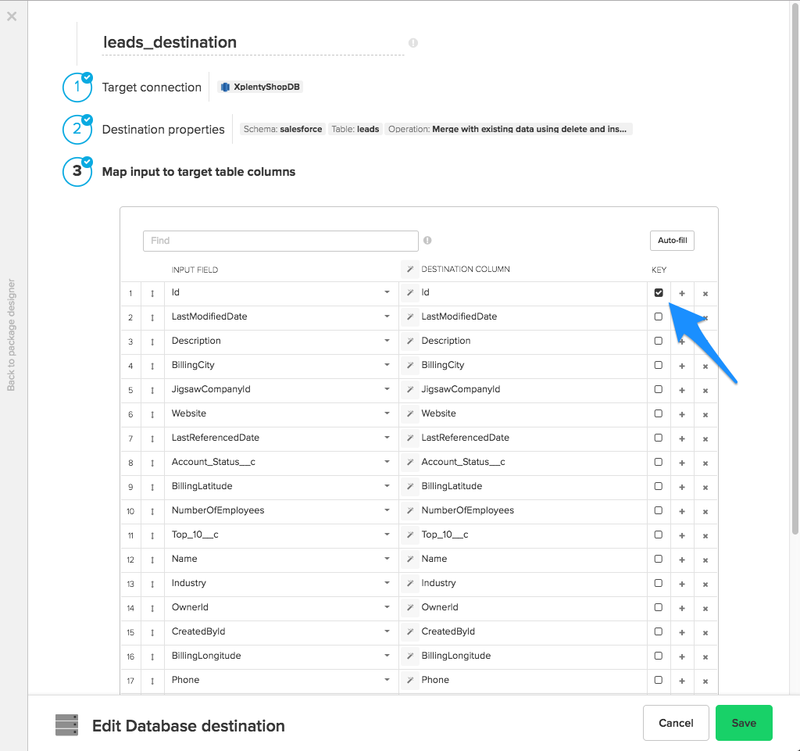 Source action - Use bulk query (default) to read available records or bulk query all to read available and deleted records. Query - type in a SOQL query. Read more about SOQL syntax here. After defining the source object, select the fields to use in the source. The fields you select are used to build the SOQL query that will be executed to read the data.